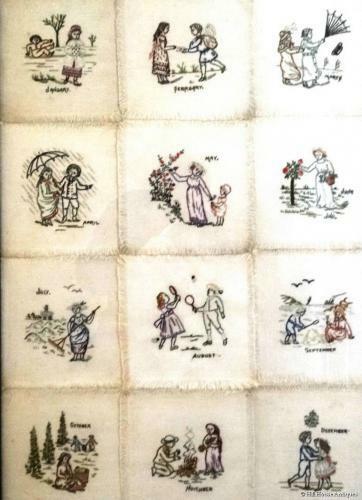 A charming set of twelve late 19thC Aesthetic Movement cotton fringed doilies (now framed) depicting the months of the year; very much in the manner of Kate Greenaway. Each doiley approx 7" square. C1870/80`s. Overall approx 29" by 21" inc frame.